Go Make Some Money For Your Dreams. Go Make Some Money For Your Dreams Without Relying On a Job or a Bank To Make Them a Reality. Now that we are clear that it is important to make money in order to fire your boss it is important that you work on that. Not everyone is going to have a service or product they can offer immediately. That is no reason to stop your journey. You should not wait to invent something or have the funds to invest in an expensive business or franchise. You can start making money from home by selling other people’s products. To do so profitably with little to no money when you begin you have a couple of viable options to explore. First you can be an affiliate of a product. That means that there are people who already have products to sell and they are willing to give you a portion of their profits for helping them sell it eg (Good network marketing company's) . Popular websites to become an affiliate includes konga, jumia etc. You can make anywhere from a few cents to hundreds of dollars depending on the volume of units sold and their individual prices. Being an affiliate or network marketer is a great strategy for people who have the mind to succeed or have a great way to develop one. Two weeks ago, i coached a group of entrepreneurs on "Small Business Profit Tips" i was amazed as 95% of them only focus on material interest without looking out for ways to maximize profits in their business which is one of the key reason of starting a business. If you get an opportunity to get clients in personal training but feel that you truly want to be a chef you have a problem. You are not focusing on your opportunity to make money; you are focusing solely on what is fun for you. The most important part of being your own boss is being able to afford it. So if you want to fire your boss, you must be willing to work in areas that make you money whether you are thrilled about it or not. Profit center are activities that provide you with the income you need to live the life you want. Let’s say you can successfully replace your income as a personal trainer. Doing so will allow you to quit your job and make more money in 20 hours than you normally make in 40 hours a week. Although you may prefer to be a chef, you now have an extra 20 hours a week that you did not have before. 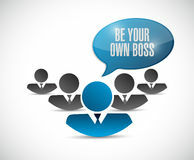 You are officially your own boss and can use that extra time however you want. In that time you can explore how you are going to leverage the time and money you have now to work in a way that inspires you (such as being a chef). Strong people help others to be strong. Good people help others to be good. And great people help others to make things work so they can be great too! To become valuable in the society, you need to create and give value to attract extra-value. Leaders knows the way,goes the way and shows the way. Make Money With Other People' s Products and Services. Speaking at a seminar organized by a group NYSC Corpers on " Small Business Startup Ideas" . I discovered that everybody want to own a business and be financially free but the strongest storm threatening to sink their ship is almighty FINANCE! The simple truth is that you can start your business leveraging on other peoples products and services. profits and cash flow which is essential to your business survival. products and services, either exclusively, or to complement your own product line. could require a substantial financial investment. I have used this system and it worked for me. 4. Become and Independent Marketer. Stay Humble. When you're not humble you're closed minded, which stops you from profiting from the experiences, thoughts and wisdom of others. for improvement and learning. Otherwise you may find yourself standing still, instead of advancing. at something, and improve. We’re all born with our own personal talents and there are others who have talents that we’ll never possess. talents and skills so that you can make what you do best, even better. Don't look down on yourself, always think positive and say positive affirmations to yourself morning and night. Don't get tired of pushing,you just need to push one more time and you will get over it. Stay focused and stay motivated. destined to do great things for others. A piece of cake from my mentor Jim Rohn. Goal setting is a fantastic skill to develop—knowing how to design your own future. A life best lived is a life by design. Not by accident, and not by just walking through the day careening from wall to wall and managing to survive. That’s OK. But if you can start giving your life dimensions and design and color and objectives and purpose, the results can be absolutely staggering. If you desire to dine with success, changing your mindset is one of the criteria needed. Think positive. Few years ago, in my public speaking jorney. I was helped out of this pot-hole in the middle of the road as i was moving without asking for direction and without a headlamp to see beyond my nose. It took me a year to bounce back to my feet as a motivational speaker,a gist for another day. small audience. The key to success is to have a STORY that will carry your MESSAGE that is valuable to the listeners. have to say again and again. speaking experience which is crucial to your success. speaker the chance to figure out what is a hit and what isn’t. 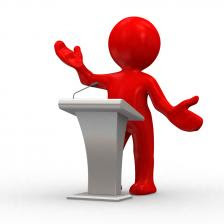 Public speaking is all about the MESSAGE and changing lives with WORDS. Let me ask you this...What’s your message going to be? Know your numbers How much profit do you make on each sale? Before you can allocate your marketing budget, get comfortable with how your business is currently performing and where potential growth opportunities are. How big are these opportunities? This information (combined with your business goals) will help you allocate your marketing budget and significantly impact your success. Remember that even a modest marketing investment can achieve great results if invested wisely. Having a viable business idea is good but turning that idea into a business that magnets sales and increase in profit is big ICE-BERG you must break to succeed. When you have a little clarity and vision about how you could get started making money your path is more directed, there’s more clarity and focus. To break the small business marketing ice-berg, you need to know your audience, define, research and locate your target audience then stick to them. Go beyond the usual demographics and really try and understand your target customers. What are their motivations, aspirations and needs? How and where do they consume media and information about products and services? As a small business owner, you need not to rush into launching a business if you have not broken these ice-berg if you don't then consider your ship sinking or heading for disaster. What are other ice-berg to break to succeed in marketing your small business? Watch-out here. Do You Need Marketing Plan For Your Small Business? A marketing plan is the driving force behind sales. Marketing plan is like a pothole free express way that your products and services will ride on a smooth journey to your clients who will receive your products and service with joy and gladly pay for the value they get. Without a plan in place, your marketing activities will be inconsistent, generating ineffective and disappointing results. So,my answer to the above question is YES! goals. It will ensure that your marketing activities are carried out in a controlled way within your budget and that your results are maximized. For the fact that you are starting small does not mean you don't need a marketing plan except if business growth is not in your agenda. But i am sure every business want to grow big even more bigger and the only way to achieve business growth is when your output gives value to your customers who will then buy into it. profits. You need to map out a genuine result oriented marketing plan for your small business to grow. After dinning with that famous mentor, the guy of 48 Laws Of Power. Here is what i squeezed out from our little conversation. The law of attraction is the name given to the belief that “like attracts like” and that by focusing on positive or negative thoughts, one can bring about positive or negative results. You get what you want,that is the mind power. those thoughts and contain a bill when opened. Hmmmmm. "The worst times can be the best if you think with positive energy." A person who decided to instead expect a check might, under the same law, find a check instead of a bill. You have to train your brain to be positive just like you work out your body. Why not learn to build a positive mind set to enable you achieve success. It's 101% riskier for not taking that risk to succeed. Change your mind set today,think positive and be smart. I know you enjoyed this article. Be positive about your success, take that step now. Like our facebook page at www.facebook.com/hopeuchemadu and share this article. Thanks. Still on the same issue about creating a USP that will give you an edge over others. In telecom industry here in Nigeria when a house is painted YELLOW what comes to mind is MTN, same thing with others. What is your own.......? Think about the topic your business is about and what can you add to the mix , to make it more interesting and unique? Or better still you can combine two things you already know about to make it extra-ordinary. Here are tips to help you find your USP. 1. Narrow down your topic. You need to specialize in one particular aspect of your topic. Instead of being a general accountant, you can narrow it down to an auditor, tax consultant, financial intelligent etc. In relationship, you can focus on singles only or married couples or both if you no your onions. 2. Pinpoint your target audience. This is another technique that’s much more easy. For example, as a motivational speaker and business coach my target audience are the teens and youth's generally and i know where to find them. As a mechanic instead of focusing on all cars, you can choose to focus on Japanese vehicles, as a health consultant you can narrow down to dentist, optician etc. 3. Branding and advert. Once you’ve developed a USP, your next task is to communicate it clearly to your audience. 4. Create A great name and tagline. Choose a short and easy to pronounce name and a simple great tagline that your prospective customers can know you with. Your name and tagline should always ring bell in the mind of your audience. 5. Expand your horizon. Go get more knowledge, read books, attend seminars and workshops. Don't ever stop learning and upgrading. You can build your knowledge on other subject's but make sure you choose one or two and master the subject very well. Okay, i'll stop here. Using a powerful USP is the driving force that will build and position your business for success. I leave you with this question. What makes you more unique , more valuable , and more visible in the market that will compel you to buy your own product or services? Speaker JC Samson said something on SWEC about some young speaker's asking him to feature them in one of his programs which he is still finding a space to fix the cube. Hey, don't get him wrong. The truth is, anybody can be featured if only your real colour is clear (what you are known for). Now, your unique selling point is what makes your business stand out. It’s what makes you different , unique which guarantees you a special place in the minds of your potential clients come rain or sun. If you can make your business stand away from the crowd, if people can identify you from the crowd then you have a USP . Customers and fans will gladly spread the word about what you do because they love it and know you for it. But if you don’t develop an effective USP, building an audience or getting any customers to pay attention to you will be a constant struggle. Ponder on this issue, stop jumping into everything. Define your identity. I have been writing about fear, do you know why? Because it has been the major reason why youth's fail to achieve success. My question is, what’s the treasure you’re seeking in your life right now? - Starting your own business? - Choosing your live partner? - Starting that project etc? It doesn’t matter what it is, but if you’re not pursuing dream with 100% of your energy… it’s because you are being paralyzed, and robbed of your full power by Mr Fear. Fear is something ALL of us go through on our journey to greatness. No doubt about it, stepping out of the 'herd' takes guts, i know what am talking about because i have been through it before. - There will be haters. - There will be times when you feel like throwing in the towel. Don't worry, just remember…It’s not an absence of fear that will make you great, but your ability to overcome it. In one word, it’s about your levels of courage. No wonder courage is a word that doesn’t get used a lot in the mainstream. you must overcome your fears so you can step into your greatness! Think positive and always dream big. Action and action is what you need to boost your courage to be able to punch fear directly in the face and knock it down. Being negative is easy. There will always be a downside to everything good, a hurdle to everything desirable, a con to every pro. The real courage is in finding the good in what you have, the opportunities in every hurdle, the pros in every con. Fear of unknown was standing against me 5 years ago. I was dinning with Mr Fear thinking that is the only way out. I tried short cuts but they only lead me back to where i started from not until when i began to confront fear with a positive mindset. I stepped out with action because my comfort zone is no longer comfortable for me. I staged fear with confidence, knowing that i am going to win...my courage gave me confidence of winning. Not taking risk is more riskier than taking risk. Fast forward to today. I defeated fear of public speaking, i started my company. I am the CEO of Hopat Consulting a small business coach and consulting firm,author of 3 books, founder of successpace development centre (spadec) an NGO to help youth's on entrepreneurship skills, personal and professional development. It took me more than 5 years to re-define my true self ,make 'U' turn and focus on the right qualities, it was not easy but the truth is, i am not doing bad. You too can achieve extra- ordinary, all you need do is to re-define, re-establish your values and focus on the right qualities. Be courageous to start and be confidence in yourself. You will succeed. If you could get the courage to begin, then you have the courage to succeed. It is our attitude at the beginning of a difficult task which, more than anything else, will affect its successful outcome. After all that we have attained - or failed to attain - our perspective is different and a new vision appears. Life runs in cycles. The opportunity comes to transform our lives, but now we have the benefit of all we have learned. If you enjoy this motivational article, please like our fcebook page at www.facebook.com/hopeuchemadu to get more life changing articles, small business ideas and motivating quotes to spur you to success. Please share this post. How To Generate Brilliant Ideas For Your Business. An entrepreneur needs to be creative, constantly generating new ideas to move the business to next level. I will share with you the simple best methods that i ave used to generate effective business ideas. Define The Problem. You want to solve a problem, you have to start by defining the problem to find out the actual course of the problem. Don't just move without ascertaining your location. It is imperative that you establish where you are before looking forward to progress. The best way to solve any problem is to find out what exactly is the cause so that you can be able to know what solution to provide. If you can get this done, you have found a business idea. Another good way to generate business idea is through brainstorming. I am sure you must have heard of this method before? This is when a group of people come together to rub minds together, ask different questions to generate ideas. When you do this, forget to write down all the ideas that comes to mind. Lots of successful entrepreneurs have been able to move mountains after a successful group brainstorming. If everybody is at their in your mastermind class, you can get up to 10 good business ideas. Day dream. Let your creative subconscious mind work for you. It's not strange that during the time you drive along the road staring at the screen, sleep on your bed, undertake your daily duties etc your sub-conscious continues to work for you, even though you may not be fully aware of this. Okay, how often have you been doing something and then suddenly an idea snaps into your mind? I want you to be conscious if this fact. Successful entrepreneurs generate good business ideas from this. Always try to identify a problem within and begin to think of a way to solve the problem. But, the best way to build a business is to look to look into your own talent. If you can do something with ease that others find difficult, you can build a business on it. Don't look down on your talents because you think they come naturally to you. God created every man with a unique gift that another man don't have. Don't forget that you have to be passionate about what you want to do. As you ponder, reflect and contemplate on what kind of business to build, make sure your business idea matches with your temperament. Don't forget to go about with a pen and a notepad with you cause an idea may come up from a discussion with friends, listening to a program, or during anything. A notepad will help you not to forget about the ideas and you can refine it at your own convenient time. You can generate ideas from re-designing an existing product or services. These are few ways to brainstorm for business ideas.